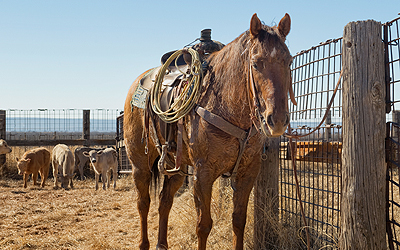 M&M Ranch Land Investments’ United Country office is located in Mertzon, Texas, just 22 miles southwest of San Angelo. Our area covers the Concho Valley and surrounding areas including West Texas and Central Texas. It sits in the Permian Basin and Edwards Aquifer and runs up through the Plains of the Panhandle. It encompasses the Texas Hill Country as well as the northern part of the Chihuahuan Desert from Del Rio up the Rio Grande around Big Bend National Park to El Paso. Near the center of the state, San Angelo is home to the Concho River, Dove and Spring Creeks and Lake Nasworthy. San Angelo features a wide range of attractions and activities both outdoors and inside. The county seat of Tom Green and the surrounding cities are attractive, consistently ranking among the best small cities for business and employment as well as retirement and relaxation. The economy is reliable and the culture is laid-back and relaxed with something for everyone - city or country and indoor or outdoor- including food, wine, breweries, the arts, rodeos, chuck wagon cook-offs, bluegrass festivals, concerts, kayaking, fishing, hunting, biking, jogging, history, museums, camping, family activities, plays, movie theatres, sports and more all with a rich Texas flare and great west Texas hospitality. United Country – M&M Rand Land Investments boasts over 100 years of cumulative experience in the ranching business, owning and operating investment properties and cattle ranches themselves. Remember, having expert and experienced representation is the best choice for you as a buyer or a seller. We are experts and we have the National United Country Team standing with us. Call us for your free consultation. We are anxious to help you. Our boots are on the ground. Hablamos espanol. No One Knows the Country Like We Do!